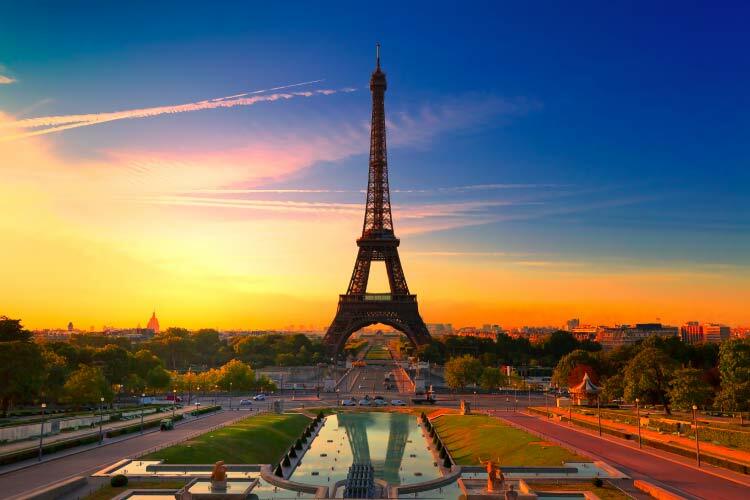 This extremely popular travel destination contains a number of iconic sights, most notably its capital Paris. After arriving through Charles de Gaulle Airport, expect to pay prices as high as $150 per day. June and July attract the most visitors, when temperatures reach the mid 20s (80˚F) inland and the low 20s (70˚F) near the coast. Winters see temperatures dip below freezing, especially in the mountainous region of the south. Ever since the days of the Grand Tour, France has enjoyed a reputation as a quintessential travel destination. Its capital, Paris, holds the title of “world’s most popular travel destination,” hosting more than 30 million visitors per year. Of course, Paris isn’t France’s only travel destination, as evidenced by the nearly 60 million tourists per year that visit the other sections of the country. France contains several different climactic zones, influenced primarily by the Alps, the English Chanel, and the Mediterranean. 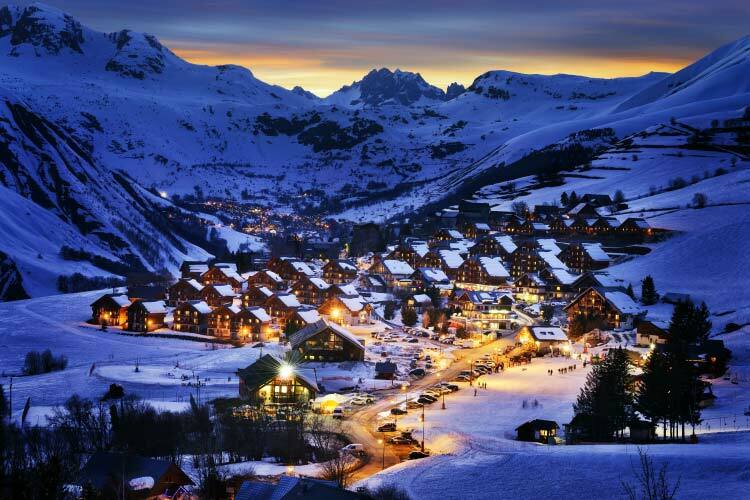 The mountainous regions of France in the southeast experience regular snowfall and feature some fantastic ski towns, like Tignes Val Claret and Meribel. Paris and the surrounding central region rarely receive snow, as with the rather warm coastal regions to the south. Southern France contains numerous charming towns, including UNESCO World Heritage site Lyon, gorgeous coastal Nice, and endearing Marseille. The thriving arts and music scenes of France have always been popular among travelers. The country has produced numerous world-famous painters, including Monet, Matisse, Renoir, and Degas. Fortunately, the French arts and music scenes have not stagnated over the years. Even today, artistic celebrities like Daft Punk, Serge Gainsbourg, and Gaspar Noé call the country home. Partaking in the local art, theatre, and music of France is a necessity for travelers in the country. Scrumptious food abounds in France, to the point that the fussy French cook has become a cultural trope. Though cheese and baguettes are undoubtedly France’s most iconic dishes, soupe á l’oignon and ratatouille also enjoy popularity. Pastries and chocolates also hold a special place in France’s heart. Wine culture is very strong in France, which contains some of the world’s most exorbitant vineyards. Few experiences exemplify the joy of traveling as much as an evening spent ingesting a delicious French meal and an expertly paired red at one of the many hole-in-the-wall cafes. Outside of France’s cities lies a gorgeous landscape, as evidenced by natural parks such as the Parc naturel régional du Verdon. Visitors to this gorgeous park often boat and swim in Lac de Saint-Croix. This manmade lake displaced an entire community, but offers superb natural vistas and some satisfying hikes. The park’s most famous site is the Gorge du Verdon, a huge canyon with the emerald Verdon River at the bottom often considered one of Europe’s most beautiful canyons. The park sits in southern France very close to the French Riveria. 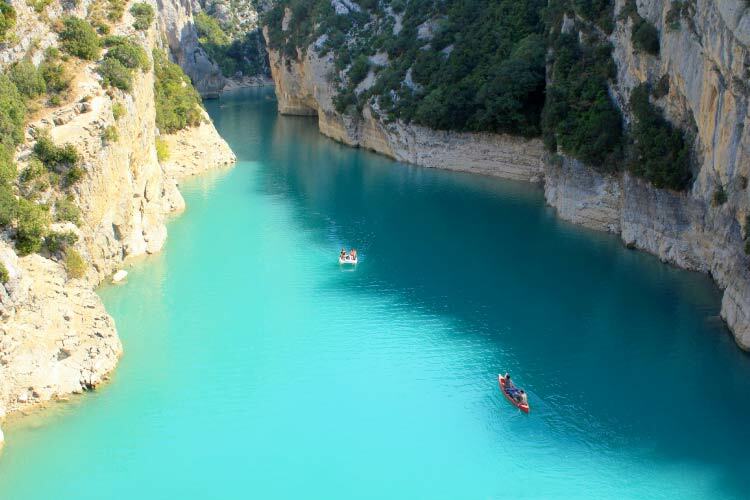 Due to their proximity, millions of travelers per year visit the Riveria and take excursions to Gorge du Verdon. Considering its worldwide popularity, its hardly surprising French wine has an entire tourist industry attached to it. France’s wine regions receive thousands of visitors per year interested in tastings at the vineyards and the alluring countryside. 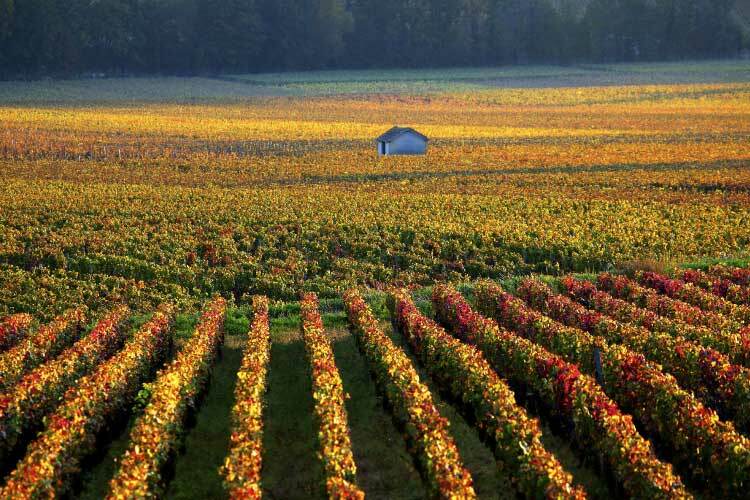 Burgundy is one of the most famous wine regions. In Burgundy, winemakers highly respect the concept of ‘terroir’, or the belief that the soil the grapes are grown in has the most effect on a wine’s final taste. A handful of areas with the highest quality soils have been identified in Burgundy, and often several vineyards cluster together to get a portion of the soil. This is great for travelers, as there are few better ways to spend a sunny day or two than walking and biking from vineyard to vineyard. As we’ve already mentioned, each year Paris competes with London for the title of “world’s most popular travel destination.” It’s not difficult to see why so many travelers are attracted to the City of Lights. The general romantic vibe, scores of historical and cultural wonders, the radiant artistic scenes, and the top notch food and drink more than justify the exorbitant expenses associated with travel in Paris. Famous landmarks include the Louvre, Arc de Triomphe, cathedral of Notre Dame, Sacré-Cœur Basilica, and, of course, the Eiffel Tower. While these famous destinations are definitely worth seeing, we recommend hopping on the train, disembarking at some stop that grabs your interest, and exploring the hundreds of small bookshops, art galleries, and cafes tucked away in the twisting streets and alleys of Paris. 1. Located on Jersey, an island off the northern coast of Normandy, St. Brelade’s Bay features ample coastline, the Fisherman’s Chapel, St. Brelade’s Church, and Parish Hall. Be sure to spend some time soaking up the rays on the beach, then head out to the Jersey Lavender Farm. 2. After appreciating the beauty of the Bras de la Madeleine, amble down Nante’s Rue Kervégan to experience the city’s best cuisine and shopping. At the northern end of the street sits the famous castle Château des ducs de Bretagne, now converted to a museum. Just a few blocks from here sits the Jardin de plantes de Nantes, a breathtaking park and botanical garden. 3. A classic Parisian itinerary almost includes a walk down La Seine. In addition to famous monuments such as the Eiffel Tower, Grand Palais, and Tuileries Garden. In between visits to these historical monuments, one ought to stop in at the numerous cafes, clothing shops, and bakeries the abound the streets of Paris. 4. As France’s most famous royal château, Versailles draws thousands of visitors a year interested in its history and beauty. 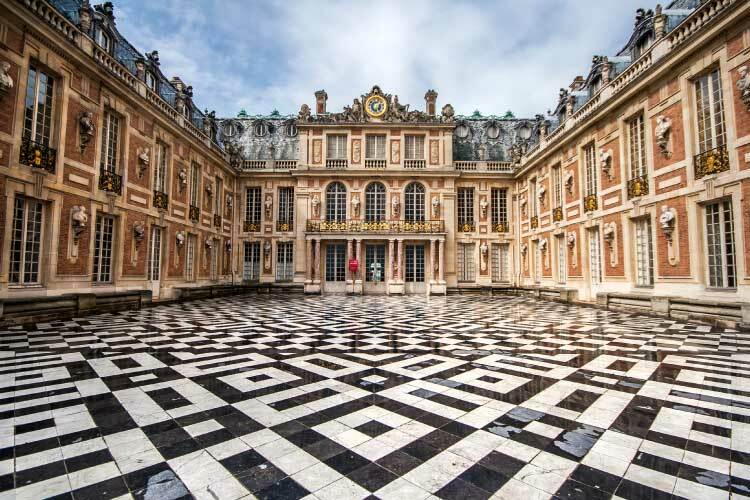 After passing through the stunning golden Gates of Versailles, spend some time exploring the apartments of the king and queen, then make your way to the famous Hall of Mirrors. After being dazzled by the palace’s opulence, make your way into the expansive gardens. 5. Amidst the sea of bricks that is Toulouse, one can stumble across lovely sites such as The Capitole and Saint Sernan Basilica. Hop in a bus or taxi and take a day trip out to the UNESCO World Heritage city of Carcassone. This fortified city centres around a stunning castle and many quaint shops and restaurants. 6. The docks of Marseille are definitely worth a visit, especially for travelers looking to taste the day’s catch. The docks are also a great place to catch a boat out to the prison island of Chateau d’If, made famous by Dumas’ The Count of Monte Cristo. Next, make your way through the maze of streets that is La Penier, and you may come across the famous cathedral, Notre-Dame de la Garde. 7. 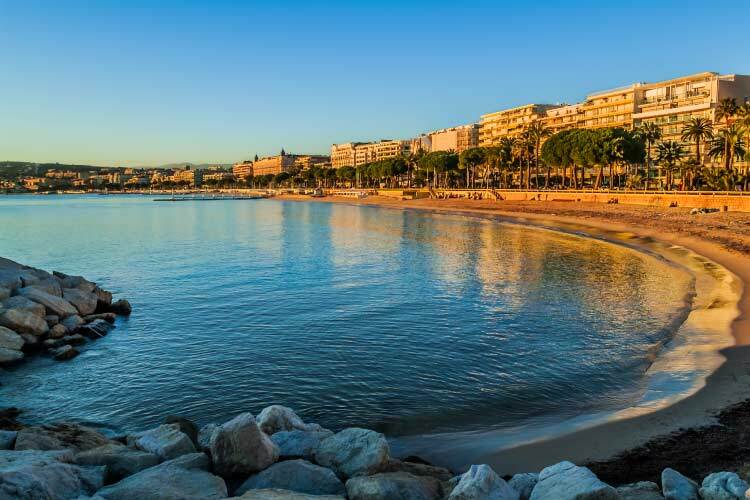 Le Sueqet is probably Cannes’ best neighbourhood for travelers. This ancient hilled neighbourhood is connected via a labyrinth of cobblestone streets, with each nook containing various shops. Eat at one of the delectable restaurants near the harbour, then make your way through the local shops up to the castle and church on top of the hill. Remember to stop at one of the cafes and enjoy the views of the city with a glass of wine.